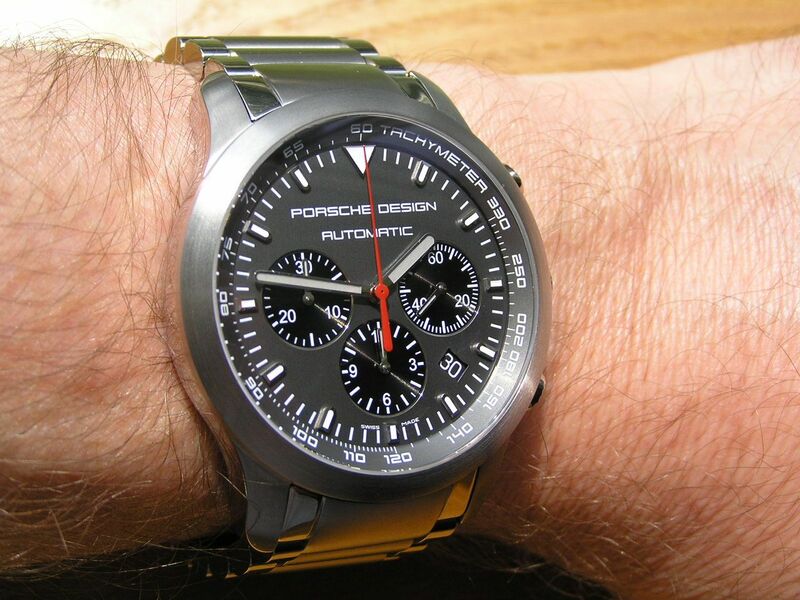 Porsche Design has been around since 1972 as a design house subsidiary of Porsche AG and has designed pens, watches, luggage, sunglasses, electronics, etc. They are known for quality and extremely clean and functional, yet stylish designs. 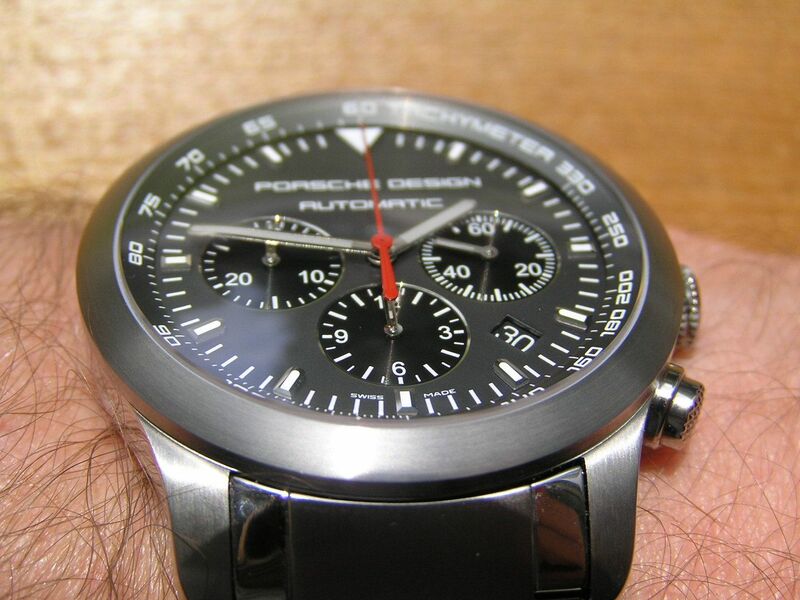 Since 1998, Porsche Design watches have been manufactured by the esteemed watchmaker Eterna, who has been in business since 1856 and proudly displays the slogan ‘Nothing but Watchmaking’. Hey, two great companies coming together to produce awesome watches? Works for me! 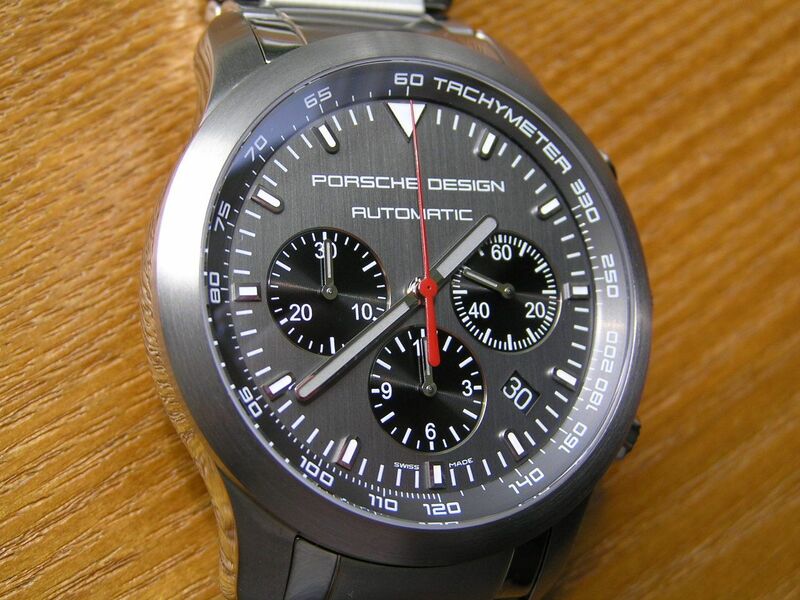 An interesting note, just recently, Eterna announced its acquisition by a Chinese watch company, so the Porsche Design chronograph reviewed here is probably considered one of the last ‘true’ Eterna watches! 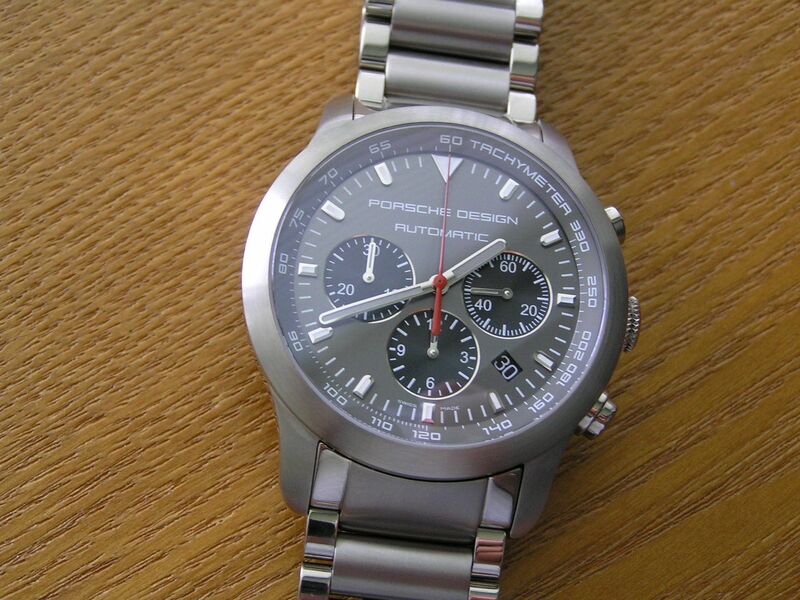 I kind of stumbled upon this Porsche Design Dashboard chronograph by accident when surfing the web looking at watches and was immediately struck by its superbly clean design and titanium construction. 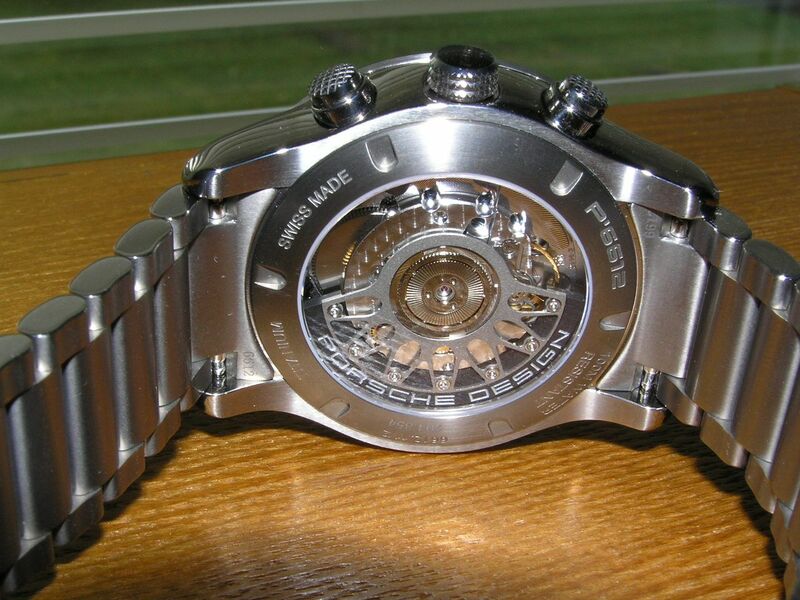 The ETA-sourced chronograph movement with 37 jewels also piqued my curiosity. Now that I’ve owned this watch for a short while, I can attest to its overall quality and subdued yet striking look on the wrist. 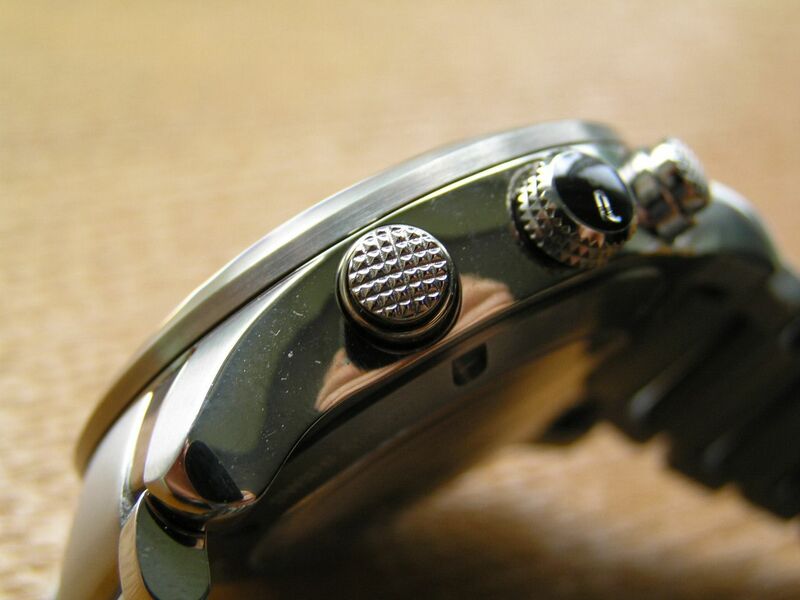 The first thing that utters style and class is the brushed and polished titanium case and bracelet on this watch. 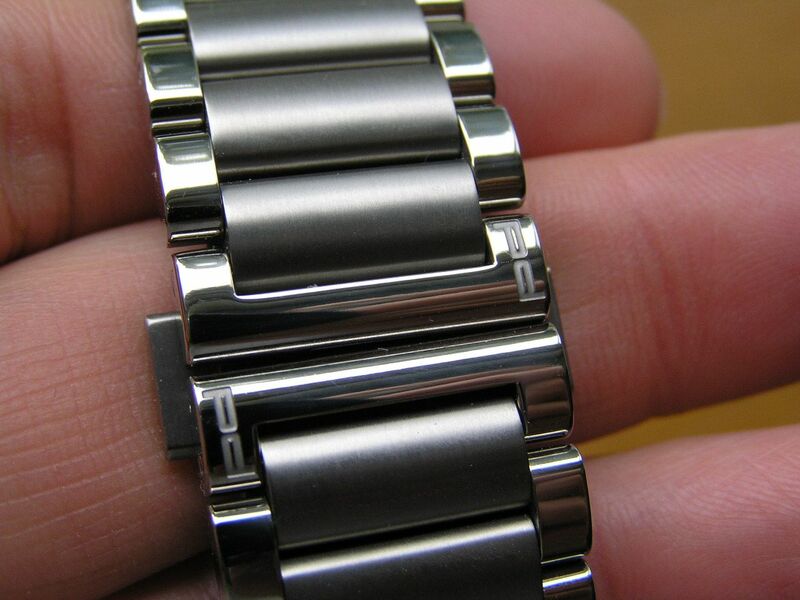 You don’t see a lot of polished titanium on watches; usually when this metal is used, it is brushed. Polished titanium looks very cool, sort of a slightly darker stainless steel, not too grey like titanium usually looks. 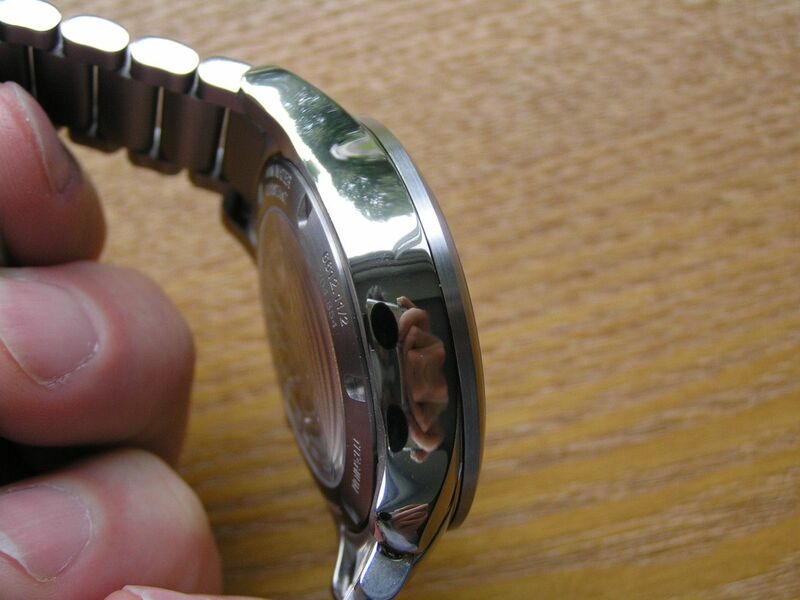 The case measures 42mm without the signed, screwdown crown. Since there is no timing bezel on this watch, you would think at 42mm it might wear large, but because it’s a chronograph and the dial is filled (but not busy), it does not wear big. It’s really just about perfect. The caseback is display style (sapphire) revealing the beautifully executed automatic movement (more on that in a moment). Case thickness is 14.3mm, lug spacing is 22mm. The crown is knurled with a cross hatch pattern and signed with a black insert labelled ‘PD’. The crown screws down but definitely needs more threads, as it only goes about 1 turn or so before it’s locked down. This does not inspire long-term confidence in the durability of the threaded crown tube. 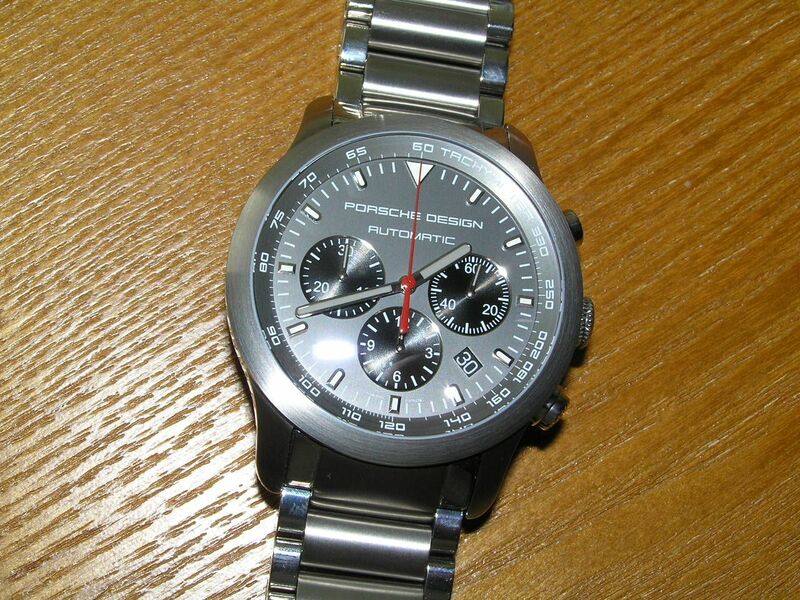 The chronograph pushers are what I call ‘meat tenderizer’ types (cross hatch style), which look fantastic. The watch is factory rated for 100 meters of water resistance. Powering this gem of a watch is the ETA 2894-2 37-jewel automatic chronograph movement. This movement appears to be an in-house modular chronograph design, ala the popular Dubois Dépraz 2030 module used with many ETA 2824-2 base movements. Very nicely decorated with blued screws, Geneva stripes, polished plates and other goodies, this movement looks like it belongs in an expensive watch like the Dashboard chronograph. 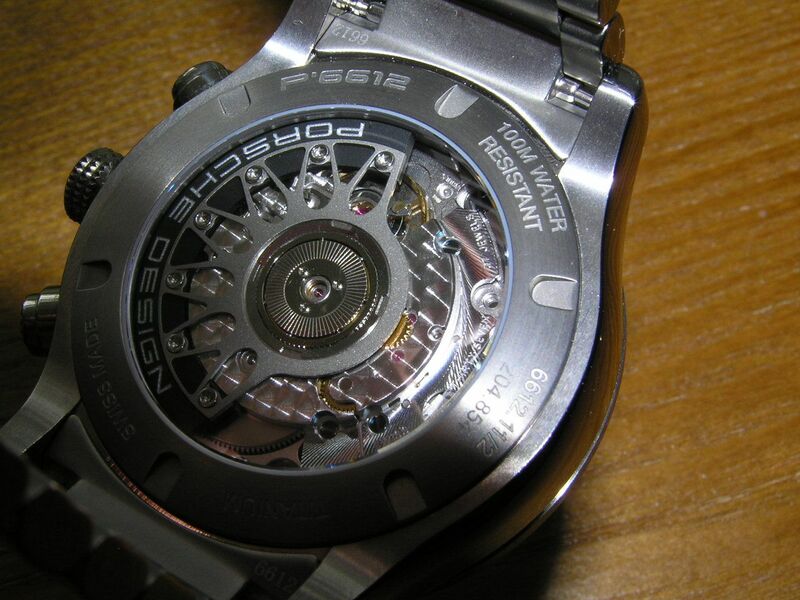 The rotor is a work of art unto itself, which is referred to as a Porsche Design optimized rotor system which is supposed to be reminiscent of a steering wheel design. Whatever you see in it, it is lovely to look at. Easily the coolest rotor of any watch I own. Time keeping has been outstanding, with the watch running consistent chronometer spec time (even though it’s not rated as a chronometer) at +1 second over 24 hours with a long 49 hour power reserve. The watch hacks and manual winds and sets easily. Chronograph operation is spot on and the stop, start and reset action is crisp and accurate. 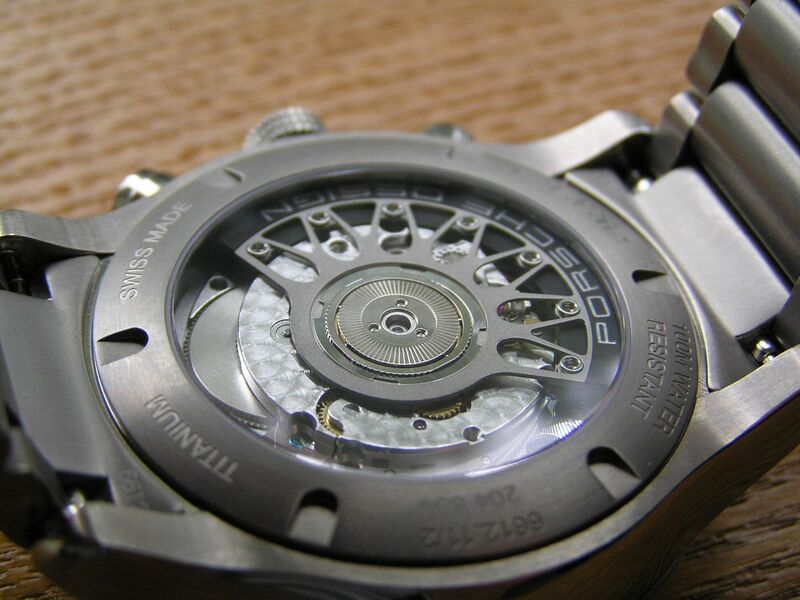 Accuracy of the watch with the chronograph running is perfect, with no gain or loss. The dial is a medium grey with slight countersunk black subdials outlined with a thin silver ring, which impart a nice contrast to the watch without going overboard like a ‘panda’ chronograph does (white dial, black subdials or vice-versa). The hands are simple in their design with inset lume. 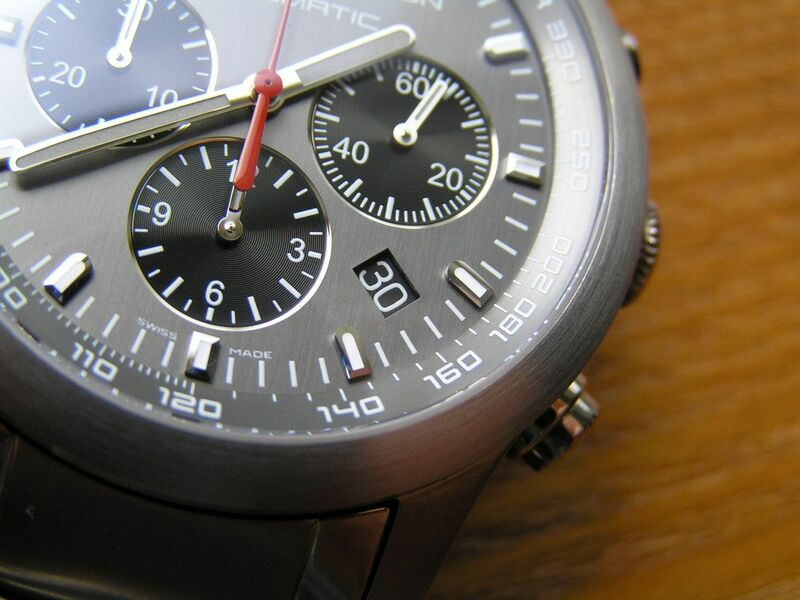 The red chronograph second hand is the only other color present on the watch. 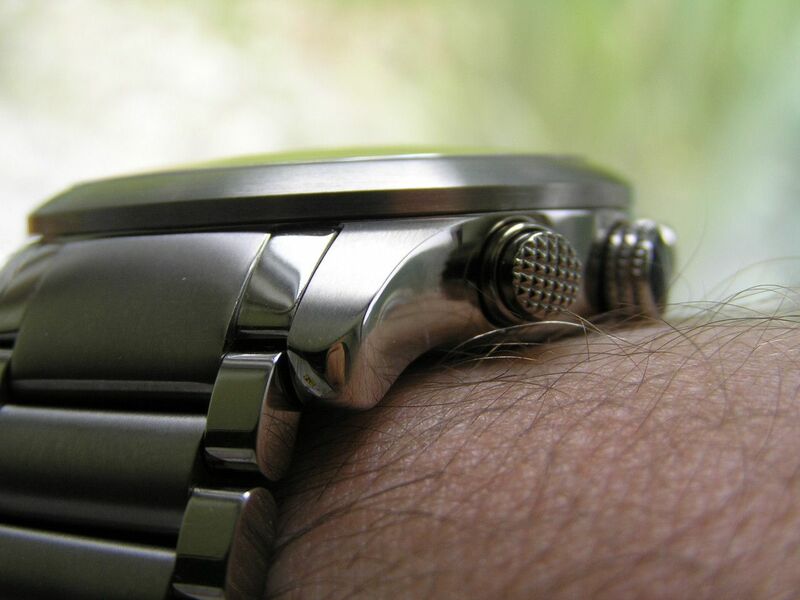 The subdial hands also feature inset lume. Applied markers with a rounded end encircle the dial, with an inverse triangle at the 12. A tachy scale forms the chapter ring. 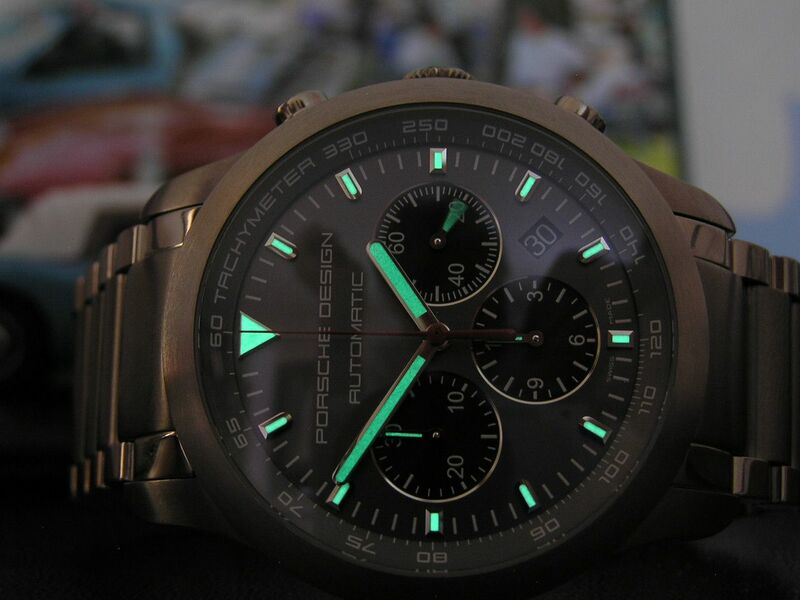 Lume quality is acceptable, but it could be brighter. The subdial at 6 is the 12 hour chronograph totalizer, the subdial at 9 is the chronograph 30 minute totalizer and the subdial at 3 is the seconds hand for the watch itself. A quickset date window is located at the 4:30 position. The white on black calendar dial is perfect for this watch. A slightly domed anti-reflective sapphire crystal covers the dial. Minimal dial printing is another nice touch. The dial works so well because of its simplicity and clean layout. 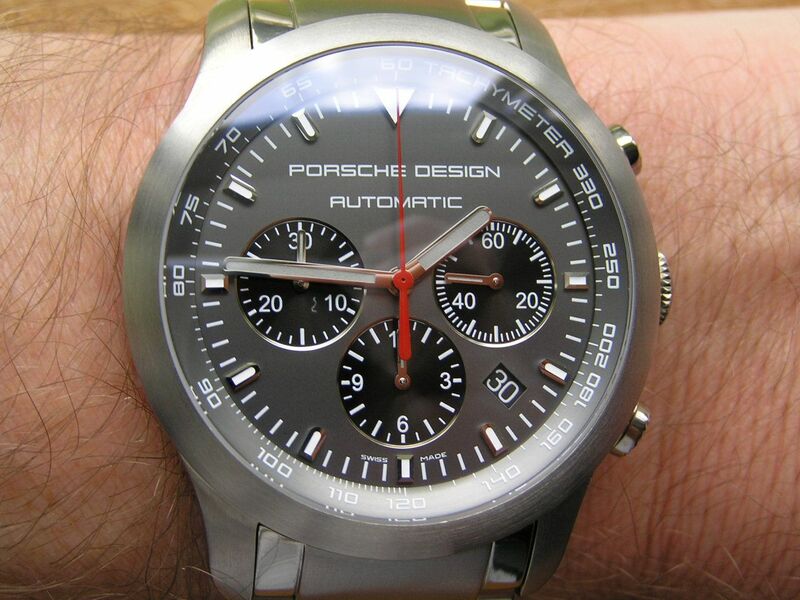 It’s a chronograph, yes, but it’s not busy or cluttered. Ah, that’s the secret of Porsche Design! 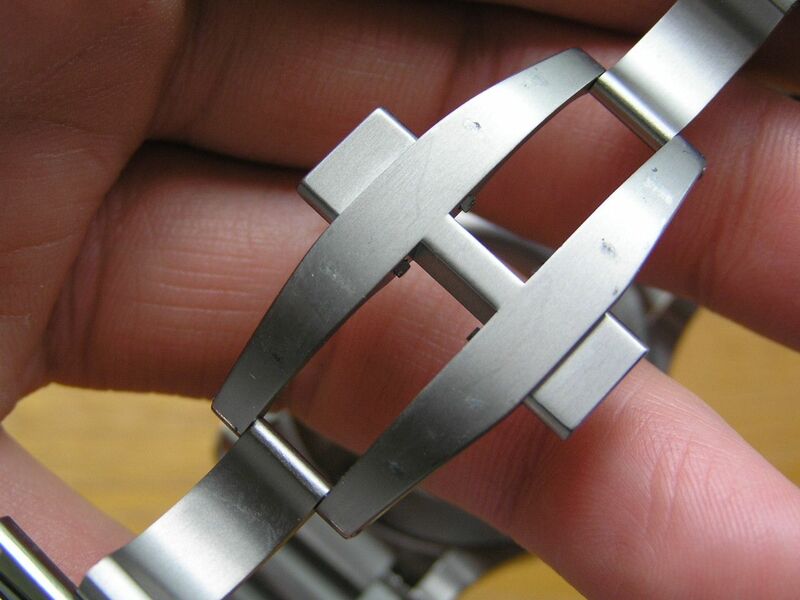 The titanium bracelet is another strong point in this piece’s overall design. It measures 22mm at the lugs and tapers just slightly to 21.7mm at the clasp. The links are three piece, with the outer links being polished, the wide center link being brushed. Solid end links and a pushbutton titanium butterfly clasp of machined titanium complete the continuous link design of the bracelet. 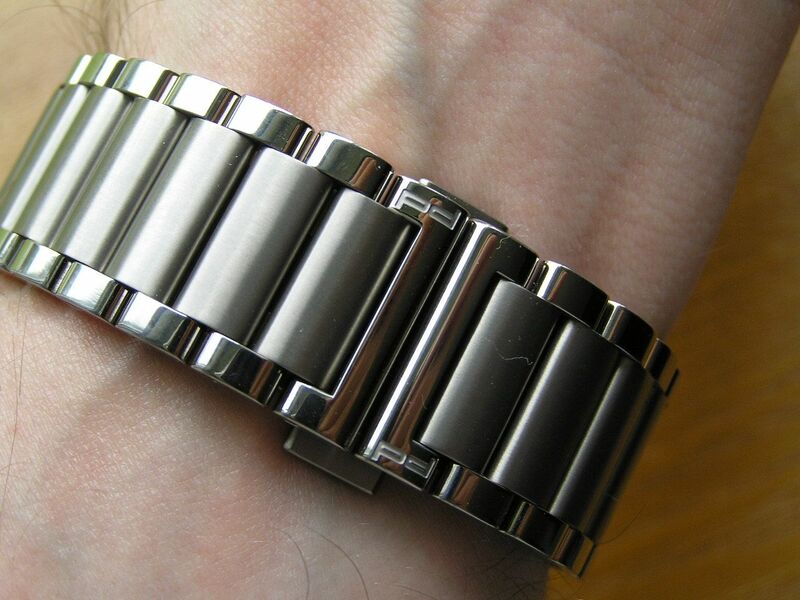 The links are secured by screws and like the Raymond Weil GMT that I recently reviewed on this blog, the screws worked perfectly and precisely and adjusting the bracelet was a breeze. The links are rather narrow, so getting a good fit was pretty easy, despite the lack of a micro-adjustment with this style clasp. 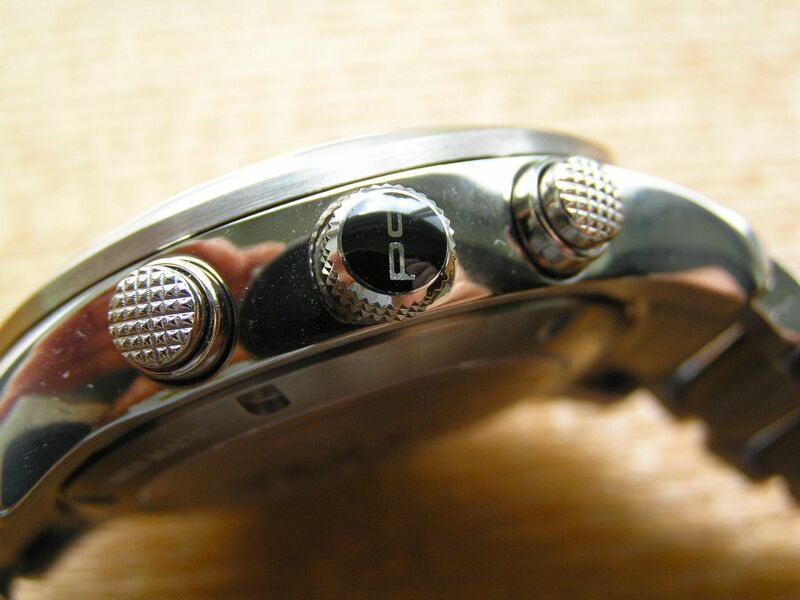 In keeping with the subtlety of the Porsche Design, the clasp itself seems a bit plain, but when you look at the bracelet where it joins together, you notice small 'PD' signings on each link at the clasp (see photo). Nice! Overall comfort with the watch is just as it should be. 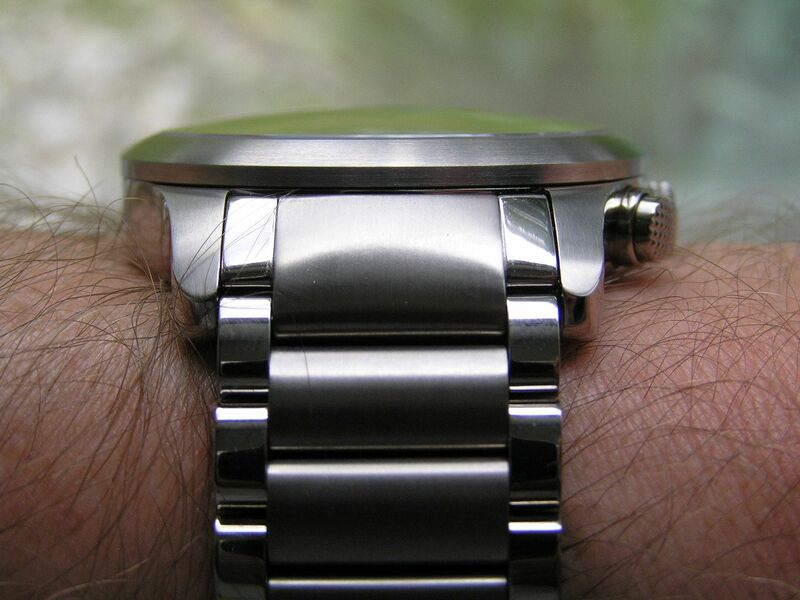 Being titanium, it’s light on the wrist, but large enough so you always know it’s there. 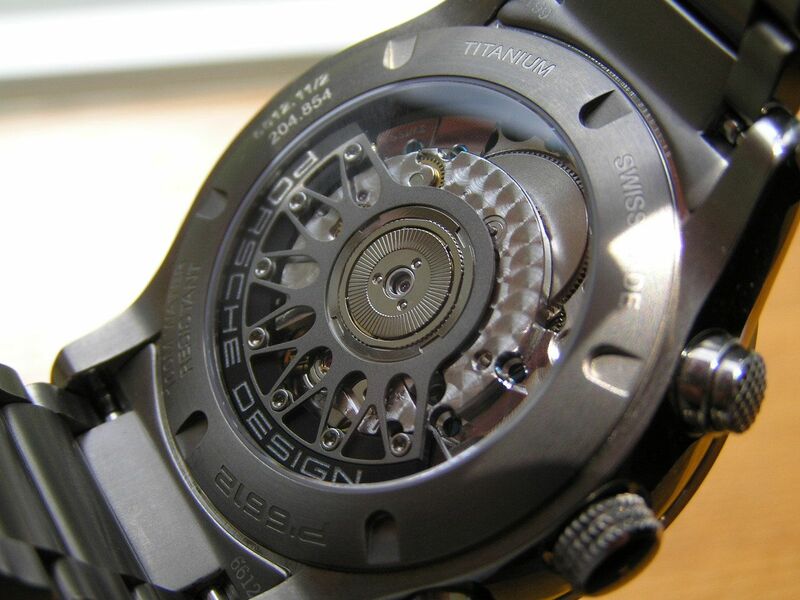 The slight contrast between the polished and brushed titanium pieces impart a stunning look to this piece as well. As would be expected at this pricepoint, the presentation is equally subdued yet impressive. A large black box houses the watch and looks the part of an expensive watch. It’s the largest watch box in my closet. 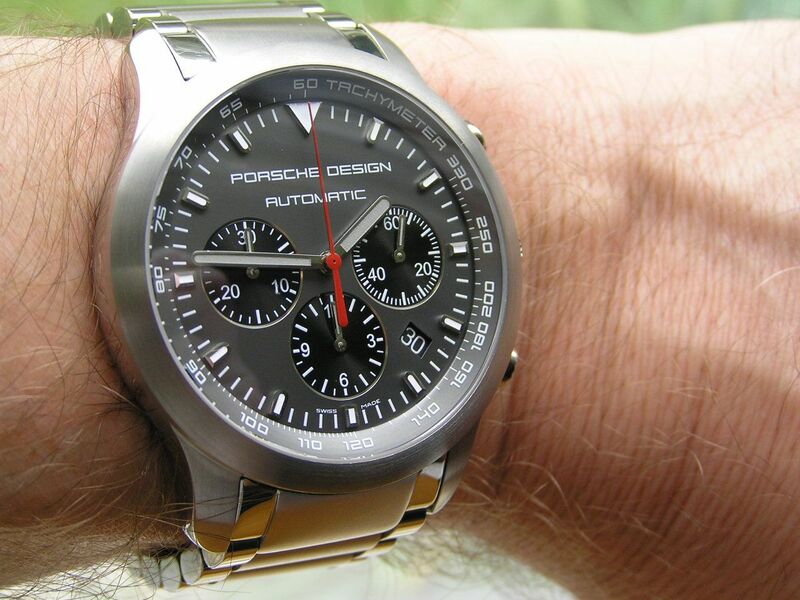 If you’ve ever wondered if a Porsche Design watch is just some marketing angle dreamed up to charge extra for a watch, think again. 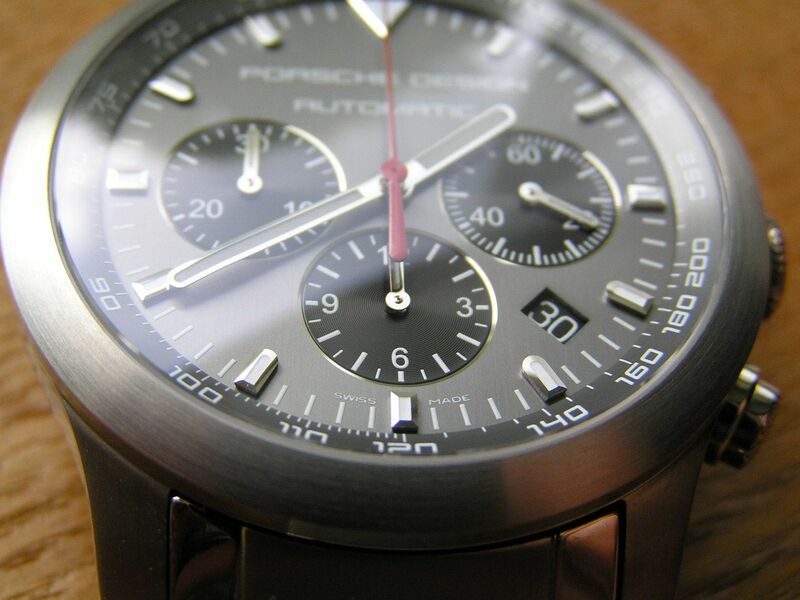 Take it from me, the effort that Porsche Design put into this piece is evident at every place you look. It reeks of thoughtful, purposeful design while never overstepping its bounds or losing sight of what it is. But it is not boring or sterile, either. It works and does so extremely well. 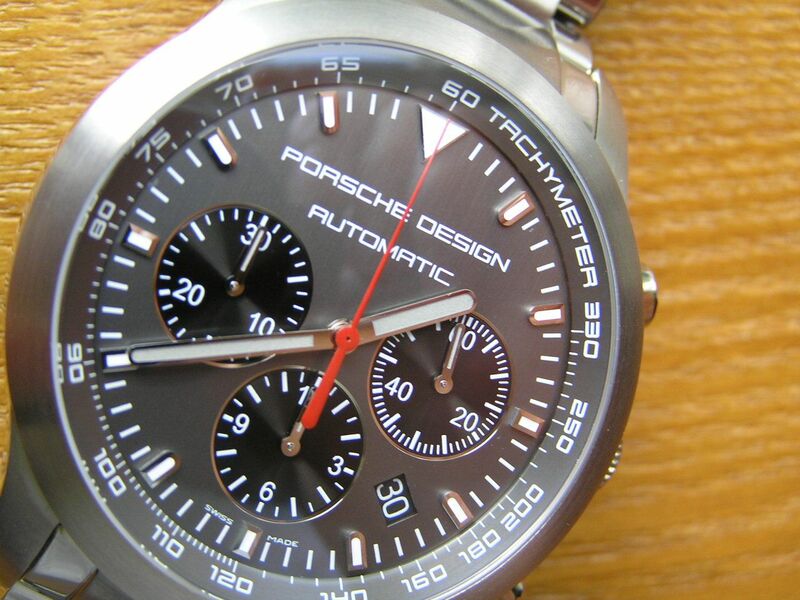 Add in Eterna’s high quality fit and finish and the nifty 37-jewel movement and this Porsche Design Dashboard chronograph wins in every way. I'll link to this review from my site on Tuesday.